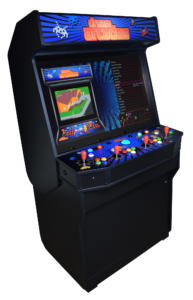 This console/cabinet lets 4 players play at once, and includes controls like buttons, joysticks and even a trackball. There are quite a few upgrades you can have added on including a wireless networking adapter, a larger trackball and even artwork for the side. But the best feature is that you can buy and play additional game packs. Options include Activision & Namco classics, Street Fighter, Sega Genesis games, Angry Birds, even a Golden Tee pack. 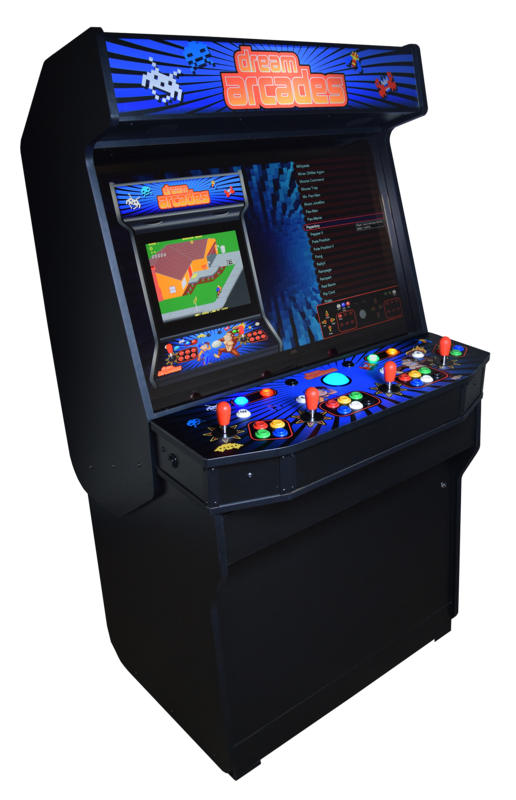 Dream Arcades makes a few of these consoles, including a tabletop version. This would make a great Father’s Day or Mother’s Day or anyday gift.